There are many ways to solve the standard 3x3 Rubik’s cube, each with its own advantages. Faster methods usually requiring more practice and algorithmic knowledge. But now, thanks to undergrad Martin Španěl and augmented reality, no memorization is required to master the cube in 20 moves or less. First, his software takes input from a camera, scanning faces of the cube to glean the orientation of each of the colored blocks. Once it knows where everything is, augmented reality kicks in to display the exact moves needed for solving using the Kociemba method. The whole project was written in Java for Španěl’s bachelor’s thesis. The software is far from perfect, however. Španěl admits the frame rate is painfully low, and it’s even worse on the Android version. The software also cannot detect if the user has made the incorrect move, so if you mess up you’ll be starting all over again. But who’s complaining! It’s certainly more interesting and useful than the long-winded papers most of us wrote and instantly forgot about in order to graduate. 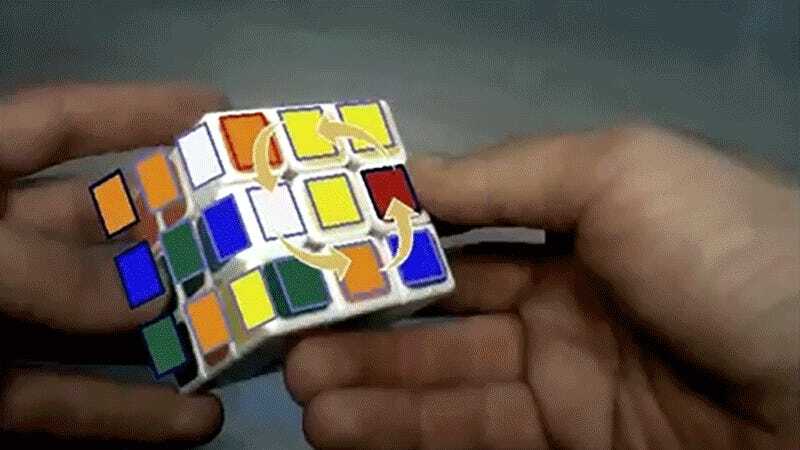 Španěl’s hopes to release a polished version of the Rubik’s solver—and potentially open source the code for it—this fall according to his responses on Reddit. Later versions may also include a choice of solving methods.